Programmer. Loves Linux and all things open-source. This has been a terrific week and a real learning experience for me. I finished packaging both Muon and QApt for Debian; my first two real debian packages, with very different packaging styles! Sune (svuorela), Maximiliano (maxy) and others helped me allot to understand the tools and I thank them very much for their support. While the first part of this second week was all about trying to make a solid package, the second part was me figuring out Policykit and KAuth in order for us to let go (as much as possible) of Kdesudo. I have managed to do a complete turnaround from kdesudo through policykit and now I am working on making an add-repo helper in C++/Qt using KAuth to keep it in line with QApt, in order to have a more uniform codebase. Big thanks to Aleix (apol) that guided me through the different uses of policykit and Kauth. To keep it short, policykit will not be used directly except QApt, in every other case we’ll use KAuth. I’m very close to finishing the KAuth add-repo helper and that will add improved functionality, as it extends well in what I will be doing next: renouncing specific backend support; The helper will manage how backends add/remove repos, meaning that if you use PackageKit you will no longer be tied to Apt if you want to use Muon! I hope you enjoyed this update and stay tuned for the debian package which is currently under review. Wow! 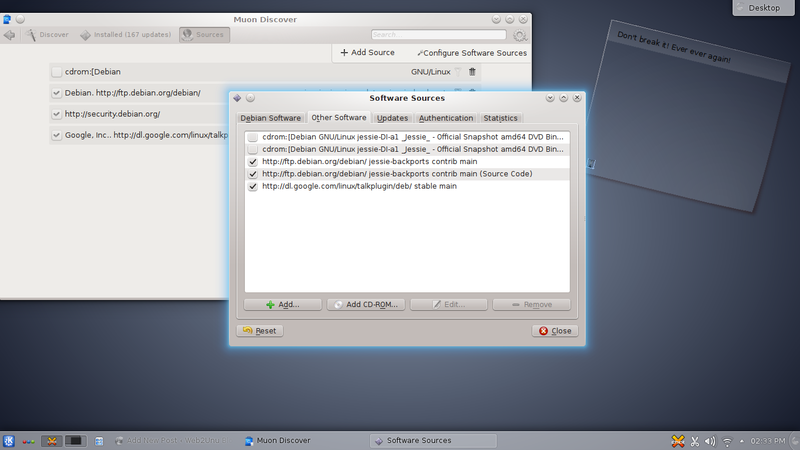 KDE looks a lot different than I remember. Seems they’re still loving gradient fills though. Huh? 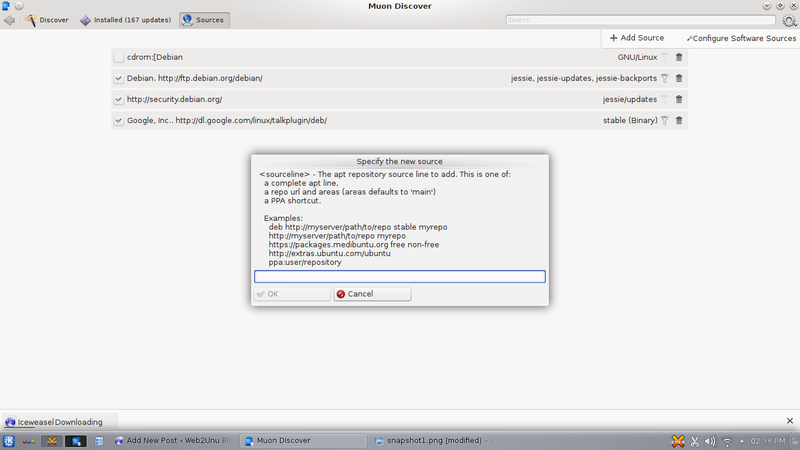 I have packaged and used muon in Debian in the past … never had issues. Though, an official package I wanted for a longer time now.